Yeah, I said it. Party season. I might be one of the biggest grinches around but there's no denying the festive season is just around the corner and I'm getting ready. Whilst I might not be very dressy for the majority of the year, I do go all out with the Christmas clichés during party season; sparkles, dresses, metallic fabrics and more. I admitted to you all in my last post that I'm not much of a dress person, but that goes out the window during November and December. I'm stocking up my winter wardrobe with a little help from this gorgeous dress from Tobi. I've heard of Tobi before, here and there on Instagram over the past year or so, and was over the moon to receive an email from them asking if I would like to choose a few pieces from their site. It took me a while to narrow down my choices, but I knew this spot print mini dress would fit in nicely with the rest of my wardrobe. First off, it's black and white, so there's a massive tick. Then there's the long sleeves, which I always love in a dress, and then there's this cute cut-out detailing, which is something I've never actually tried before. 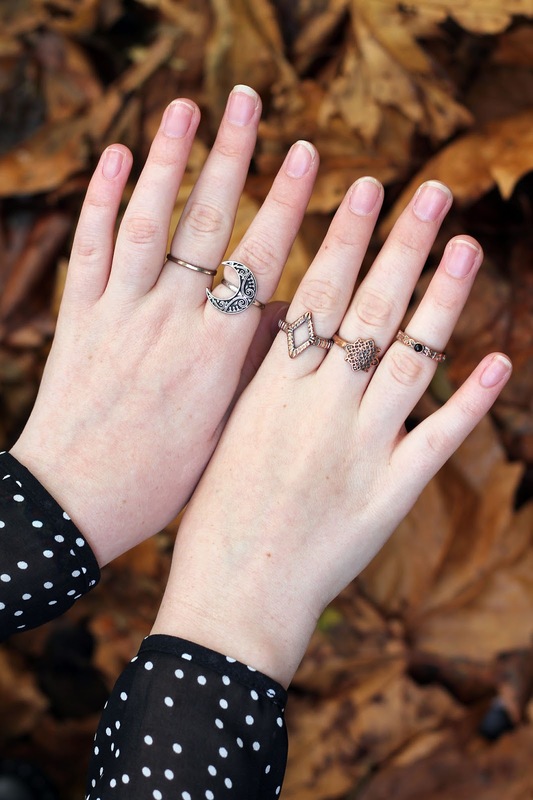 Of course it wouldn't be party season dressing without a little accessory or two, so I reverted back to my bohemian ways and piled on the rings. These are all old picks I've kept throughout the years, and after seeing these shots, I kind of want to go back to wearing a tonne of rings on each finger? Think Phoebe Buffay vibes. What do you think? And seeing as it is winter after all, ~ignoring the bare legs~ I threw on this trusty little beret which I am loving this winter. I now have three in my collection and I'm desperately seeking more. Maybe one with some embellishment or embroidery... I could do a DIY! Let me know if you'd like that in the comments below, or just how you feel about my old DIY blog posts in general. I've been thinking of getting back onto the customisation bandwagon and would love to know what you think. Tobi is an LA based brand, so there's some cool points right there. But having not owned any of their items before, I had a pretty open mind when I opened my parcel. 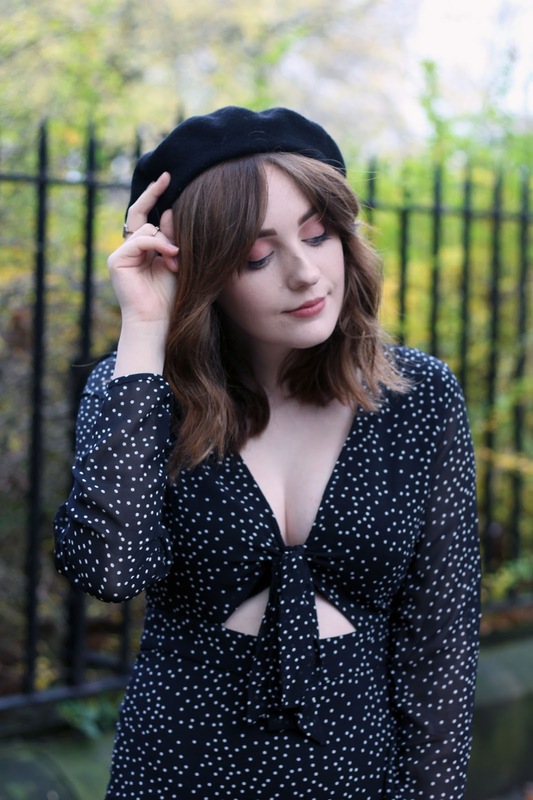 Not only did I love every single piece and they'll all genuinely be a part of my regular wardrobe, not to mention my party season pieces, but the quality totally exceeded my expectations. 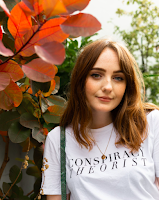 My favourite piece might actually be my black jumper, which you'll be seeing in next week's post, so make sure you're following Tie dye eyes on Bloglovin' or following me on Instagram to see it! Love all this outfit, that dress is gorgeous and the beret reminds your Mary Quant one, most of all I love your boots. You look fabulous rocking that Bowie polka dot printed black skater dress from Tobi... very pretty! Your rings are pretty too, and your hair, lipstick and eye-makeup all look beautiful!! !